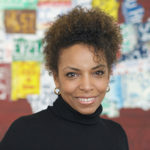 Cynthia Overton, Ph.D., is Director of Tech Workplace Initiatives at the Kapor Center, where she provides diversity and inclusion-related education opportunities and resources through focused initiatives for tech professionals. This includes spearheading Diversity Advocates, a group of more than 1,000 members dedicated to creating a diverse and inclusive workforce throughout the tech industry. Cynthia also serves as co-principal investigator for a research study funded by the National Science Foundation (NSF) and led by Quality Education for Minorities Network that seeks to expand the evidence-based understanding of HBCU STEM learning environments in which undergraduate students are most likely to thrive and subsequently go on to attain doctoral degrees in science and engineering. In addition to her work at the Kapor Center, Cynthia is also founder of InclusionClearinghouse.org, a collection of resources for corporate leaders, practicing and aspiring tech professionals, and entrepreneurs interested in diversity inclusion in tech. Cynthia has more than a decade of experience in social science professional services industry, leading research, technical assistance, and knowledge translation initiatives that enhance opportunities for underrepresented populations. She also has unique expertise in making technology accessible so that it can be enjoyed by people with disabilities and aging populations. Cynthia holds a B.A. from Hampton University, an M.S. and Ph.D. from the University of Michigan in learning technologies with a concentration in accessible technology, and a masters degree in P.R./corporate communications from Georgetown University.